First, let’s talk about what the Emotional Support Animal Letter is about. ESA letters typically include the weight, breed, type, and name of the Emotional support animal(s) or sometimes referred to as comfort animal(s) and when this is the case, they aren’t subsequently considered a companion and not a pet. The primary function of emotional support animals is to provide companionship, relieve loneliness, and help with depression, anxiety, and certain phobias. Emotional support animals are not required to have any special training, nor assist an individual with disabilities. Comfort animals are commonly used as a part of a medical treatment plan and are not considered service animals. That your emotional illness significantly prevents you from performing or taking part in at least one of the daily activities. That an emotional support animal is part of your current treatment plan and that it will assist you in coping with your emotional disability symptoms. That you are presently a patient of the doctor or mental health professional who certified your mental disability in the ESA prescription. That you are being treated by the same mental health professional or doctor and are under his care plan. So, the importance of getting your Emotional Pet Support letter cannot be stressed enough. As per the Air Carriers Access Act and the Fair Housing Amendment Act, you are required to have a valid letter from a licensed doctor or mental health expert that shows a need for your emotional support dog to accompany you. This letter must have a date on it, and it will be only valid for one year. How Do I Get An Emotional Support Animal Letter? For a person to legally qualify for an emotional support animal (ESA), he/she must be considered emotionally disabled by a licensed mental health professional (therapist, psychologist, psychiatrist, etc. ), as evidenced by a properly formatted prescription letter. Some airlines and property managers will accept a verification form completed by a family doctor, however. If not currently working with a licensed mental health professional, please visit our homepage for legitimate and highly accredited licensed mental health professionals who specialize in writing these letters, and who will review your completed exam and may qualify you for such documentation that you can use for airlines and property managers. How Long Does It Take To Get An Emotional Support Dog Letter? Upon completion of the Examination, a mental health professional will evaluate your information within 24-48 hours. If the mental health professional has any follow-up questions, he or she will contact you by phone or via email. However, if you are approved you will receive an approval notice along with a digital copy of your ESA letter. A hard copy will then be sent by 1st class mail via USPS, within 24-28 hours of approval. How Long Is The Emotional Support Pet Letter Good For? 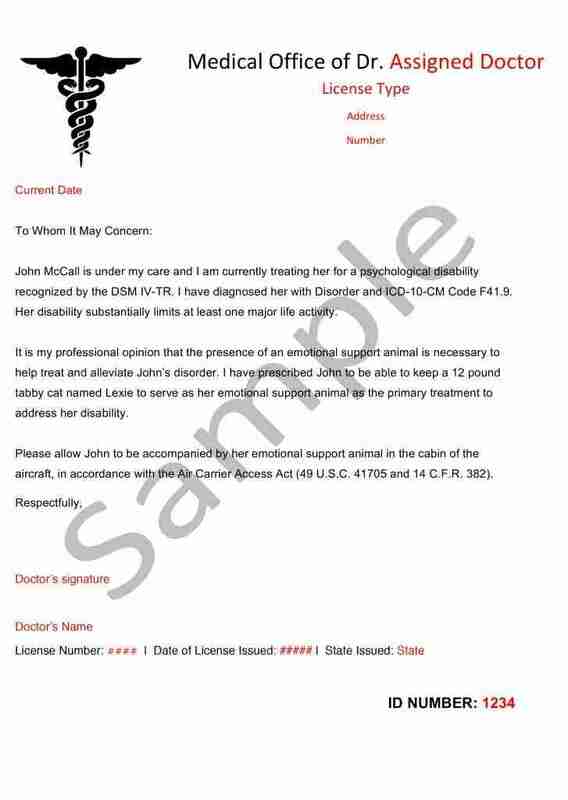 Emotional Support Animal letters retain their validity 12 months after they are obtained from the doctor/health professional. You should be aware of doctors or sites that advertise “lifetime” ESA letters because those can set you up for trouble in the future. No prescription from any doctor lasts forever, and same goes for an ESA prescription. Just like you must renew prescriptions for medicine, emotional support dog letters must also be renewed. When the time has come for you to renew your ESA letter, you will need to ask the same doctor to write you a new letter. In conclusion, without a valid ESA letter in either a residence or on a plane, your emotional support animal is not considered a legal ESA. A lot of owners overlook the importance of a valid prescription letter and end up facing the embarrassment and all the hassle, so make sure you are not one of those people. Do ESA Letters Expire? If So, Do They Need To Be Renewed? As mentioned earlier, yes ESA letters of all kinds need to be renewed on a yearly basis to remain valid and usable. One can renew their ESA letter with us by contacting us, but we will follow-up with a friendly reminder notifying you that your ESA Letter is about to expire and provide you a link to get it renewed. 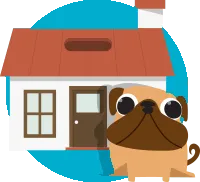 When you are renting a place with a landlord, your landlord has a right to ask you for a new letter every year for your animal. If you fail to provide that letter, your animal is no longer considered as an ESA, and your property manager or landlord can deny access to having your emotional support animal with you at your home. Can A Landlord Ask For Details About My Disability/Reasonable Accommodation? No, a landlord can only ask for documentation relating to your request for reasonable accommodations. He or she or they are not allowed to ask you for any personal medical details. Reasonable accommodation forms are typically 1 to 5 pages long and are given to the tenant after the Housing ESA Letter is presented to them. The doctor who wrote the ESA letter needs to complete the accommodation form to further explain how the ESA is needed for the tenant to live in the dwelling unit. It is recommended that you try and keep your ESA under manageable conditions. It is courteous to the landlord who is allowing you to live with your ESA on their property. It is also common sense since it won’t be good if the dog barks all night and disturbs others, or is not vaccinated, or is allowed to harm others. 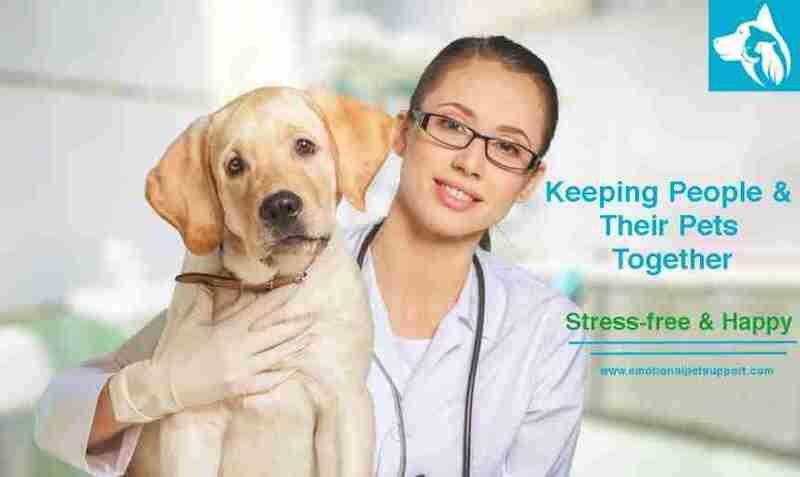 Keeping your dog in tip-top shape will ease tension and help you live that dream life with your beloved ESA! When you travel with your ESA on a plane, the date on your prescription letter is the first thing the airlines will usually check out. 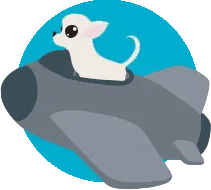 If the letter is past the validity date, you will surely be asked to pay a pet fee, and you may even be asked to store your pet in the luggage compartment under the plane. This is only if you are lucky enough to be allowed on the plane in the first place. In most instances, you may be compelled to leave your emotional support animal behind or leave the flight altogether. A licensed therapist will review your evaluation and have your results within 2-3 business days. 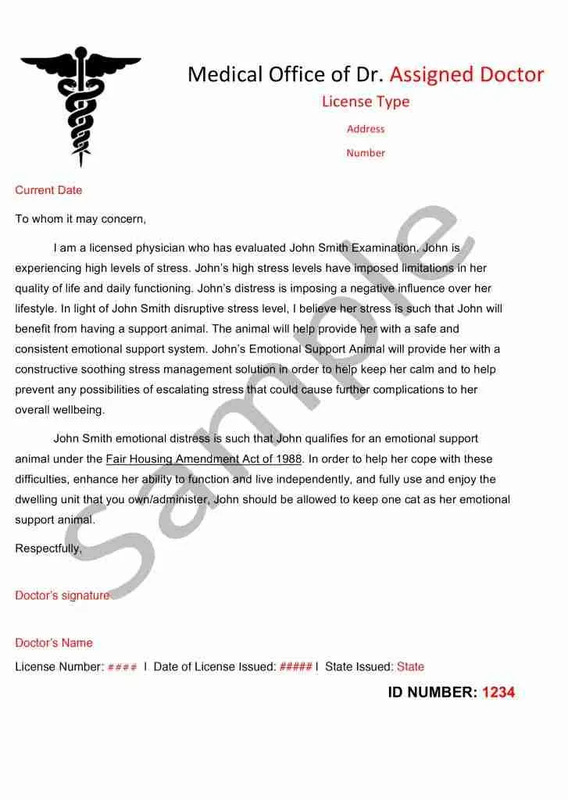 If a diagnosis can be made a prescription will be emailed to you with your results (as a PDF file to print from home). If a diagnosis cannot be made and it is determined you do not qualify for an emotional support animal, then a full refund will be issued. After you receive your prescription your assigned therapist will contact you via e-mail to begin online therapy sessions. Please continue your online treatment as instructed by your therapist. These sessions may last a few days or a few weeks. Emotional Support Animals are required to sit on the floor if they cannot be safely held in the passenger’s lap. 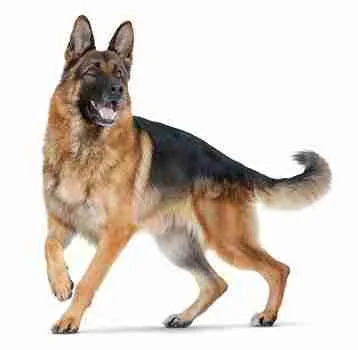 There are no size restrictions and dog breeds as large as German Shepherds regularly fly with their owners. Most airlines will try to leave the seat open next to a passenger flying with an Emotional Support Animal if they can (if the flight is not full) and passengers with ESA’s get priority boarding and bulk-head seating preference (the seating near the front of the plane which has more leg room) at no additional cost. This is done because airlines know passengers with Emotional Support Animals need the extra room and time to board. Also, it is even more important to arrive at the airport early so the airline can accommodate you and your pet (if necessary) by keeping the seat next to you open and provide you with a pre-boarding pass (allowing you to board first). 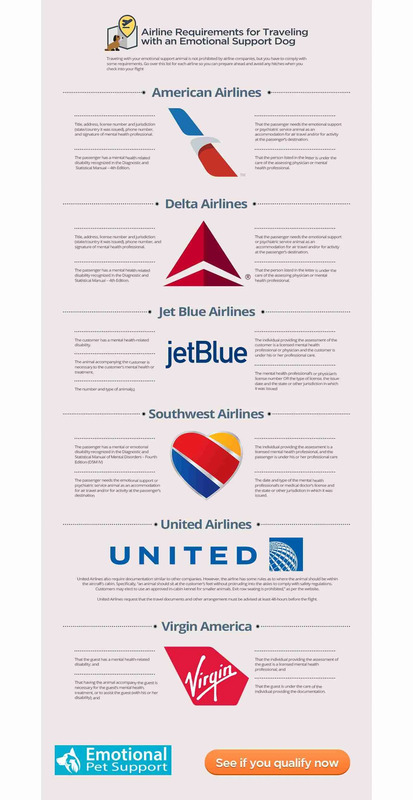 Please note that the airlines are not obligated by federal law to give emotional support animals priority boarding or bulk-head seating but rather offer such conveniences as a courtesy. If your pet is large they have to make a reasonable effort to accommodate you or reschedule your flight. I need to renew my ESA documents that expired in December, 2016. Please let me know what I need to do.